As most equine veterinarians will tell you, hardly any horse is truly “100% sound.” And even if he is sound today, he may not be sound tomorrow! 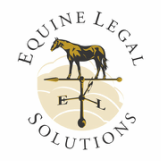 So if you tell potential buyers your horse as “100% sound” or “sells sound,” and the horse turns up lame after purchase due to a pre-existing condition, you have potential liability. “Vet checks welcome.” This is appealing to potential buyers because it suggests you think your horse is sound and healthy without making any representations about his physical condition. It also encourages potential buyers to think about getting a veterinary pre-purchase examination, which will provide them with information they need to make a wise purchase decision, and at the same time, protect you from potential liability. Horses are flight animals and even the most trustworthy horse can and will react to stimuli. So if you advertise your horse as “bombproof,” and then the buyer is injured when the horse spooks, you have potential liability. Describe your horse’s experience. Does he have lots of trail miles? Has he been used for riding lessons or therapy sessions? Has he been shown a lot? Telling prospective buyers about your horse’s experience will give them a sense of how reactive he is without subjecting you to potential liability. Just because children and beginners have ridden your horse safely doesn’t mean every child or beginning rider could do so. Experience and confidence levels vary widely among child riders, and one person’s “beginner” is another person’s “intermediate.” And safety is situational. Your horse might be quiet and well-behaved with a child rider in an arena, but turn into a fire-breathing dragon at a parade. Describe the types of riders who have ridden your horse, and in what circumstances, e.g., “ridden in peewee rodeos by a five-year-old” or “shown successfully by a timid adult amateur.” These descriptions will give potential buyers a sense of your horse’s temperament without subjecting you to potential liability.